This animal is considered as the largest dolphin in the world. 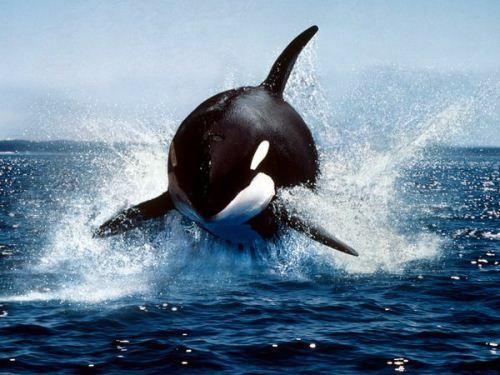 It is called orca, but many people also call it as a killer whale. The weight of this animal and reach 6 tons. The length is around 50 feet. If you want to be informed with the real whale, look at whale facts. The animals have big and large teeth. They have around 40 up to 50 feet. A tooth can reach the length around 4 inches. 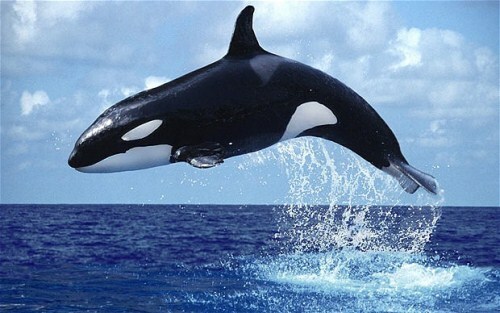 All orca whales are seen in all oceans in the world. You can differentiate the dolphin from any other sea animals by looking at the bold black and white color pattern. The head comes in a tapered shape with eye patch. 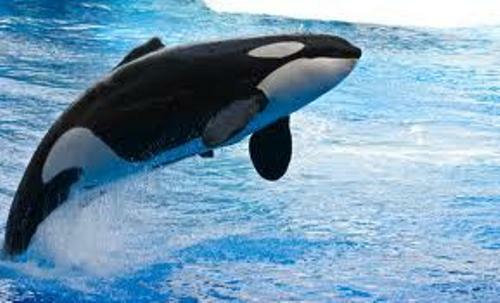 A killer whale can reach the age up to 80 years old. Read the biggest animal in the world on blue whale facts. The dorsal fin of the male and female orca whale are different. The dorsal fin found in a male killer whale comes in the shape a triangle. It can reach the height up to 6 feet. If you take a look at the female dorsal fin, it comes in a curved shape. The height is around 3 feet. 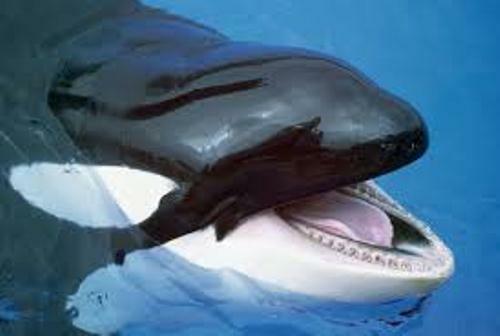 The daily food that orca whale likes to eat includes whales, sea lion, seals, sea bird, fish, and squid. The animals also have the ability to grab the seal from the icy area. The animals are the world most powerful predator. It seems that a killer whale is not an individual animal. It can live in a pod. This term is used to call the family group of killer whale. It consists of 40 individual whales. There are two types of pods differentiated based on the types of food eaten by the members. The first pod is called as residential pod. The group likes to eat fish. The second one is called transient. It eats marine mammals. The wild killer whales are expected to give birth every 3 up to 5 years. They will do it in the wild ocean. The orca whales living in captivity will give birth to a baby orca every two years. The gestation period of these animals is around 13 to 17 months. Most baby orcas will be born with the weight around 300 pounds and the length around 8 feet. Orca whales are very protective about their family. They will take care the baby well. The animals are seen in SeaWorld and Marine land if you want to notice them clearly. 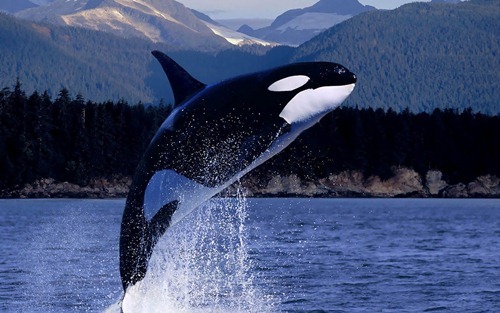 Are you fascinated to share facts about orca whale?